Raumfahrt - The Google Lunar X Prize’s Race to the Moon Is Over. Nobody Won. Raumfahrt - What’s that SpaceX ship with the massive claw arms on the LA waterfront? China on Thursday will attempt its fifth space launch of the year, with a mission to put three small Yaogan-30 remote sensing satellites into low Earth orbit. A Long March 2C rocket carrying the satellites is scheduled to liftoff from Launch Complex 3 at the Xichang Satellite Launch Centre in the hills of Sichuan Province in southwest China. Airspace restriction notices indicate launch is set to take place around 05:35 UTC (13:35 local time, 00:35 Eastern Time). The Yaogan-30 (04) trio of satellites were, as with previous sets, developed by the Microsatellite Innovation Institute under the Chinese Academy of Sciences (CAS). 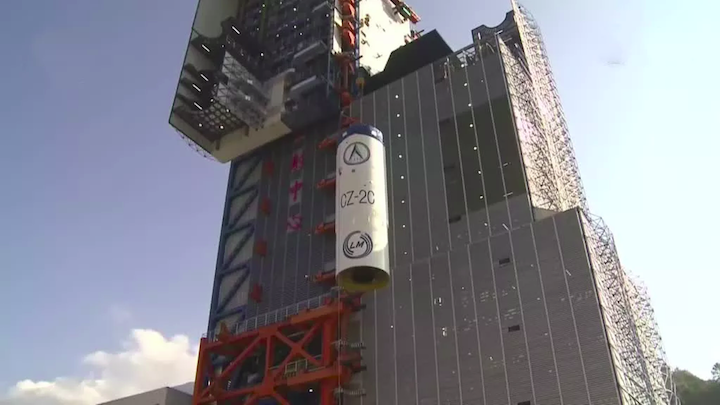 The launch is provided by the China Aerospace Science and Technology Group (CASC), with the 42m high, 233 tonne Long March 2C developed by the China Academy of Launch Vehicle Technology (CALT), a CASC subsidiary. Similar preparations to the expected Thursday launch can be seen below. Yaogan series satellites are often described by Chinese state media as providing remote sensing for land resources and electromagnetic environment detection, but are perceived by Western observers to be designed for reconnaissance purposes for China's People's Liberation Army (PLA). This fourth group of Yaogan-30 satellites follows launches on September 29, November 24, and Christmas Day in 2017, which in combination could potentially provide high revisit coverage over areas of special interest to the PLA. The Yaogan-30 group in particular, orbiting at around 600 km and inclined by 35 degrees, could be used for electronic intelligence (ELINT) gathering, using the time difference of arrival (TDOA) method to track moving maritime objects. This will be China's fifth launch of 2018 out of a possible 40 launches this year, according to the plans outlined by the main space contractor CASC, sister company and missile-maker CASIC and private company OneSpaceand others, China could carry out more than. This would almost double the Chinese record for space launches in a year, which stands at 22 set in 2016. Earlier launches this year saw a pair of SuperView-1 commercial Earth observation satellites from Taiyuan, a duo of Beidou-3 GNSS satellites from Xichang, a LKW-3 reconnaissance satellite from Jiuquan, and a Long March 11solid propelled launcher liftoff from Jiuquan carrying five Chinese satellites and a Canadian CubeSat. 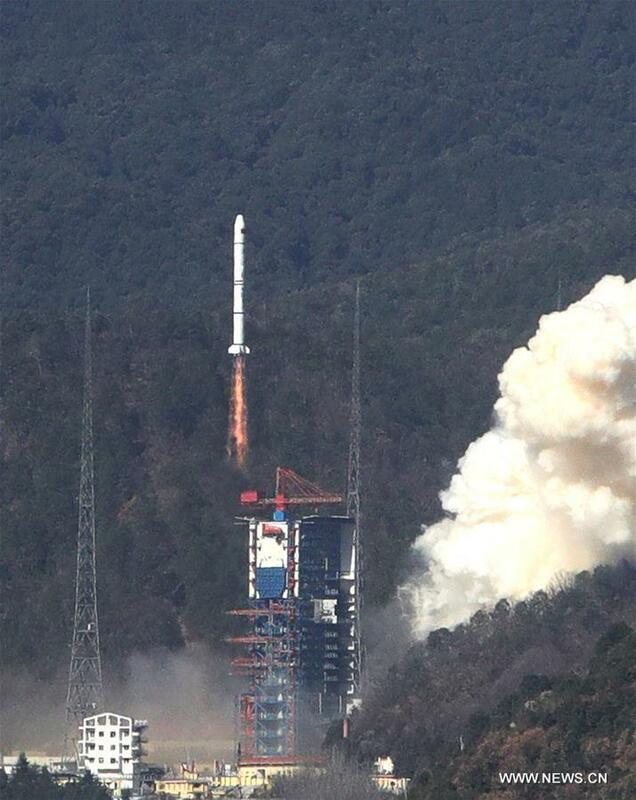 China launched remote sensing satellites at 1:39 p.m.(Beijing Time) Thursday on a Long March-2C carrier rocket from Xichang Satellite Launch Center in southwest China's Sichuan Province. The satellites have entered their preset orbit and the launch was proclaimed a success. 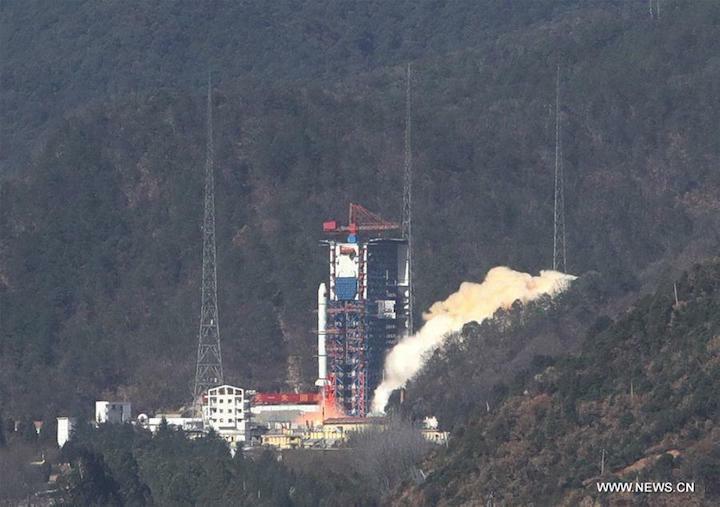 XICHANG, Jan. 25 China launched a series of Yaogan-30 remote sensing satellites at 1:39 p.m.(Beijing Time) Thursday on a Long March-2C carrier rocket from Xichang Satellite Launch Center in southwest China's Sichuan Province. A micro-nano 1A satellite was also sent into space along with the Yaogan-30 satellites. The satellites have successfully entered their preset orbit. They will conduct electromagnetic environmental probes and other experiments. The launch was the 265th mission for the Long March rocket family.